Toyota, a leading automotive manufacturer, has premiered its new Supra model at the 2019 North American International Auto Show (NAIAS), being held in Detroit, US. The auto show which opened on January 14 will conclude later today (January 27). The Supra name evokes power, performance and handling that defined a succession of world-class cars for a quarter of a century. As a thoroughbred sports car, the model has built a reputation both as a formidable performer on the road and on the racetrack, said a statement from the company. The new Supra is the first global model of Gazoo Racing's (GR) sports car series, it said. Ever since first competing in Germany's 24 Hours of Nürburgring endurance race in 2007, GR has been developing its cars and people through its motorsports activities with the goal of making “ever-better cars”. The knowledge and expertise it has built up over the years have been funnelled into bringing the Supra back to life in the form of the GR Supra as a car that people the world over will find fun to drive. “Supra is like an old friend that holds a special place in my heart. While other manufacturers were putting the beautiful new prototypes they were going to introduce through their paces, I was driving an old Supra that was no longer in production,” he said. “So even though the company had no plans to make a new Supra, just like a lot of other die-hard Supra fans around the world I secretly wanted to make it happen. The new GR Supra was born through testing at Nürburgring, and I can honestly say that it is better than ever,” he added. 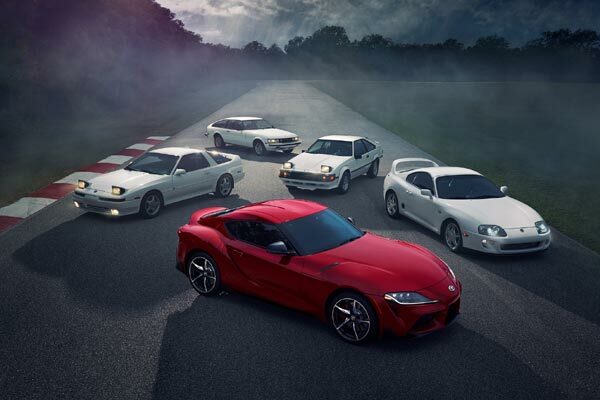 The new fifth-generation Supra marks the end of the 17-year hiatus since production of the previous generation concluded in 2002. Ever since the Supra's inception in 1978, all generations have been front-engine, rear-wheel-drive vehicles powered by an inline six-cylinder engine. “Rather than only working toward improving specs such as horsepower and circuit lap times, we emphasised sensitivity in performance, such as the degree to which driving could be felt to be enjoyable, with car and driver becoming one,” he added.